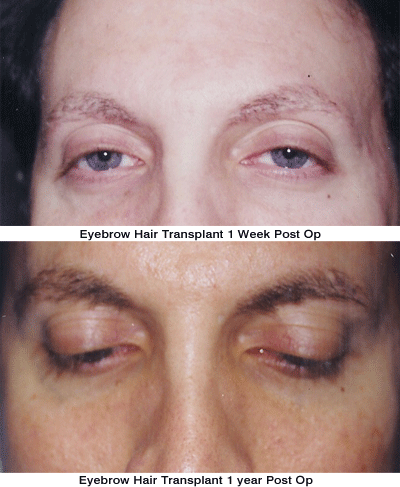 Women and men with complete or partial eyelash or eyebrow loss can regain their eyebrows and eyelashes through a micro-surgical hair transplant procedure. It is safe, effective, minimally invasive, and takes only 1 session in most cases. The medical term for eyelash loss is madarosis. Eyelash loss can be permanent or temporary. This condition is often due to blepharitis, or inflammation of the eyelids. It can be congenital or a result of an infection. What causes eyebrow and/or eyelash loss in men and women? Is eyebrow and/or eyelash restoration procedure safe? Yes, it is a minimally invasive micro-surgical procedure. One session is usually all that is required. Where does the donor hair come from? How is the procedure done? The donor hair is extracted one follicle at a time from either your scalp or your leg. The donor hair is usually taken from a site that furnishes finer rather than coarser hair, as finer hair is a better and closer “match” for eyebrow hair. Donor hair is transplanted micro-surgically 1 or 2 hairs at a time. Each graft is placed into an incision prepared for it. The use of single hairs, or micrografts, permits meticulous adherence to the eyebrow contour for a natural appearance. Yes, they are your own naturally growing hair. In many cases, the end results look more beautifully-shaped and contoured than that which you were born with. A consultation with Dr. Amiya Prasad at PRASAD Cosmetic Surgery will answer any questions you may have about the procedure and recovery time. Feel free to contact us to schedule an appointment with us.